Of course, we always start with the positives, right? We offer praise and encouragement. We recognize the children that are making good choices with statements such as, "____ is helping us by lining up quietly." Or, "_____ is following directions by cleaning up the first time he was asked." In addition, I am working on avoiding phrases, such as "I like the way ______..." unless I am VERY specific on what the child is doing that helps our class. Also I want the children to work towards making our classroom a better place for everyone, rather than just pleasing ME! When the positives fail, I redirect children to other activities if possible. For example, if the children are having trouble at recess or inside playtime, it's fairly easy to explain that their behavior with that toy/game was not okay, and then interest them in a different activity as an alternative. I tell them that they can try that first activity again tomorrow to see if they can remember the correct way to use it, etc. If the child is misbehaving during a lesson, such as talking with a neighbor, it can be tough to redirect that child, because you have to continue with the lesson, and the child needs to see it. So I first remind the child that they cannot talk during a lesson, and they may miss something important. Telling a child the reason WHY is important! I also tell them what will happen if they continue- that I will not be able to allow them to continue to sit there, because that won't be a good learning spot for him or her. It's not a punishment; it's a way to help the child learn. 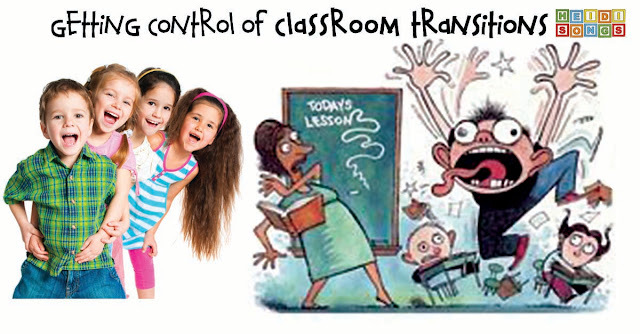 During a whole group lesson, if a child is still misbehaving after a verbal reminder, the next step is redirecting or moving him or her. But this does NOT have to be a "TIME OUT" moment! Simply don't treat is as a punishment! Spin it as a second chance to learn better and try again in a different place. I tend to move kids around, giving them assigned seats on our colored carpet rug until I figure out the best seating configuration for everyone anyway. For more severe behavior issues that cannot be solved by a simple seat change, here are some redirection types of things to try that I have had success with. Send a restless child to go and draw a picture at a table of what the teacher is teaching, rather than just sit and listen with the rest of the group. Send a child to a center to do something calming, such as stare at a relaxation jar or squeeze a fidget, etc. One child I know responded to the fine motor exercise of clipping clothespins on the edge of a bowl. When the bowl was empty, he was usually calm enough to rejoin the class. Another child had a book with a social story in it to read. It was customized for her with her rules and consequences. When she was having a tough day, she would go and "read it" (she had it memorized in no time!) and color a page! The key to making redirection work is that you cannot let the problem get too big before stepping in to take care of it. Otherwise, it could just wind up making you look weak. 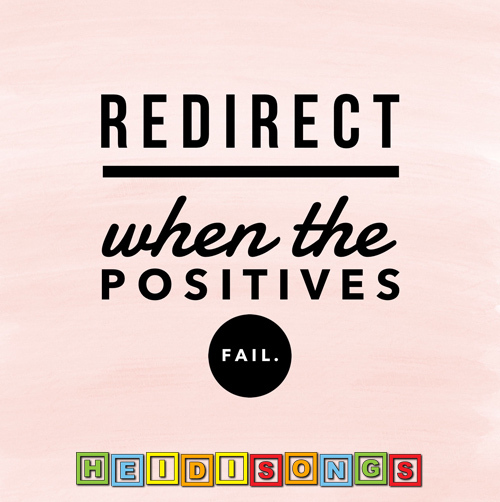 Proactive Redirection? Yes! Solve It Before It Begins! In the past, I have had a few children that just behaved and learned better in certain locations in the room during whole group lessons- especially when they were just plain separated from other students in back at a table, but alone! So in order to PROACTIVELY AVOID an issue that might come up. I told those certain children quite clearly and gently that they were NOT in time out or in trouble in any way, but that I was HELPING THEM stay OUT of trouble, so that they could have a great day! If they object, I tell them that I want to try it this time, and then we can compare it to their learning behavior in their regular seat next time. Wherever they learn and behave best is the best spot! When these other steps fail, I have my class play The Quiet Game if necessary and then pull the child aside for a little chat. Then I ask the child to look me in the eyes and tell me what they were doing, and whether or not it was a good choice. We talk about it for a minute. Then they have to tell me what they will do differently next time. I do try to connect with the child during this time, and really try to understand what caused the behavior, and what the child's underlying message is. Remember, all behavior is communication! So what is the child trying to say? All that being said, there are times when these chats have to happen during recess, only because we have to preserve our instructional time. 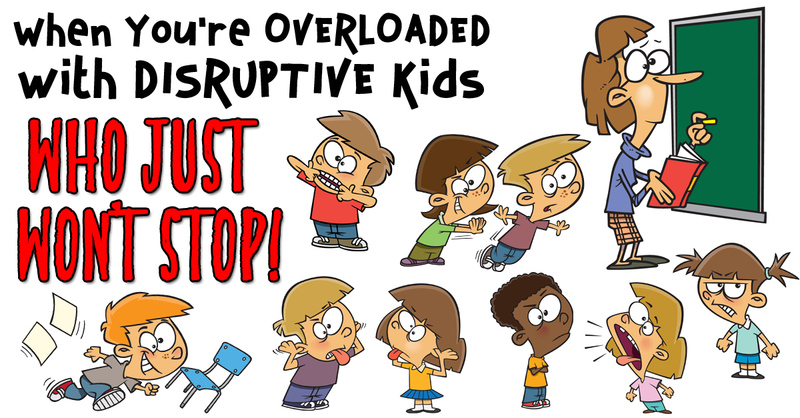 I do believe in consequences that teach, but I also believe that the rest of the class is entitled to their chance to learn, and that no child should have the power to take our learning time away by regularly disrupting the class on purpose. But this is the key: the child cannot rejoin the group until they have told me what they did wrong and what they will do differently next time. That's the learning piece! And it's also one of the most difficult things for some children- and not because they don't KNOW what they did wrong- they just don't like to ACKNOWLEDGE it! Other points to remember: Give the child a chance to save face. Never publicly humiliate a child. Preserve the relationship between you and the child or things will get worse and worse for you, not better! Treat all children with the compassion and grace that you would want for your own children. 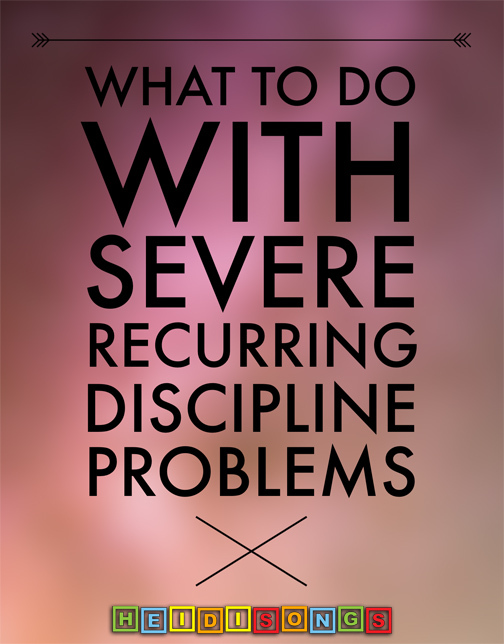 As unpleasant as it is to think about, there are occasionally children that are hurting so much that they present very severe discipline problems. These are the ones that NEED you to form a relationship with them the very MOST! Try to talk to them each day, making eye contact with them as they come through the door and greeting them personally. Children who need love the most usually ask for it in the most unloving ways! Comment on how hard they are working or congratulate them for getting to school on time. Just get to know the child. It makes a difference! When children are upset about something that happened, sometimes I have the child draw a picture of what happened, and of what they will do differently next time. Another idea is to have the child draw a picture of why he is angry. A "Thinking Chair" is a good place for a child that just needs to STOP for a few moments, calm down, and think about redirecting HIMSELF. Even adults are entitled to a time out now and then and should be able to ask for it. Have child sort pictures of good choices and bad choices. There is a wonderful set I found here! Have the child play ALONE for a day or a week, since she or he is a danger to the other children. I put a jumprope around the area that the child could play in, and told the other children that they could not enter it. This is usually QUITE effective and can bring about a big change in behavior. Send the child to another teacher's classroom for some time to think. Often, this makes kids uncomfortable enough that they prefer to avoid it and are motivated to change their behavior. If a child has reached the point that he/she is on a daily behavior contract, then at that point, the rewards and consequences have usually been agreed upon by the parents, teachers, and administrators. Sometimes, this may include loss of some recess or playtime. It could also be a home consequence. But whatever it is, it is a consequence that the child responds to and cares about. Loss of recess/playtime is the LAST thing I do, not the first. Older children that can write may respond to writing complete sentences telling "Ten Reasons Why" whatever they had done was a bad choice. They could not go onto any of the more fun things, such as iPad time, computer time, reading with friends, etc., until this was finished. They really hated it, but if they wanted to do ANYTHING fun for the rest of the day, they had to do it. It was an effective deterrent. Older children with writing skills can write down why they are angry, what happened, and what they will do next time. Older children can fill out a flow chart that indicates the causes and effects of each of their choices so that it's clear that they understand which choices caused their current predicament, and another flow chart that shows what better choices they can make that will result in things they like. 5. What to Do With Children That Keep Hitting, Hurting, etc. If you wind up with a child that is continually hurting other children by hitting, kicking, spitting, pinching, etc., then you have your work cut out for you! Of course, you can NOT allow the child to hurt the other children. That's a given. So even if that aggressive child doesn't really seem to be doing any real damage to the others, you'll still have to deal with it and put a stop to it or it will likely just intensify until you do. I think that this is because behavior like this is usually a cry for help (or a message of some kind), at least in my opinion. We teachers may not have the expertise to identify the underlying problem, but we can be sure that there is one. Start observing, take some notes, and get the parents in there and try to figure it out! Look for consistent triggers that precede the behavior as well. 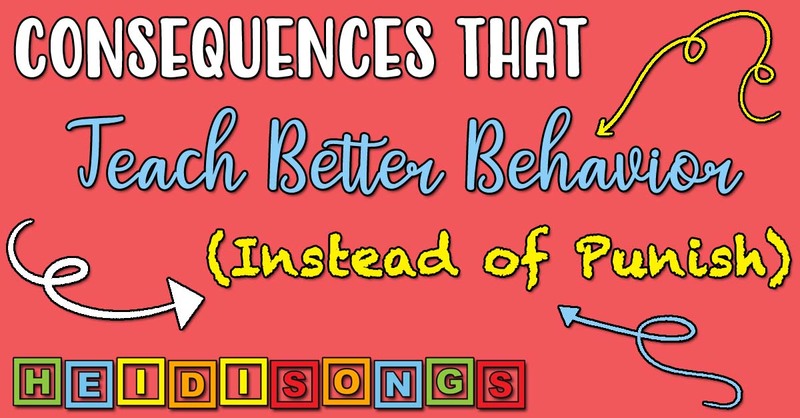 Eliminating those may help you eliminate the undesired behavior. So what's the REAL problem? Does the child seem to have friends? If not, why not? Is mom having a baby? Is everything alright at home? Are the parents getting along? Did mom just go back to work? Has dad been recently deployed? Did they just move? Did a grandparent pass away? Are these behaviors allowed at home? 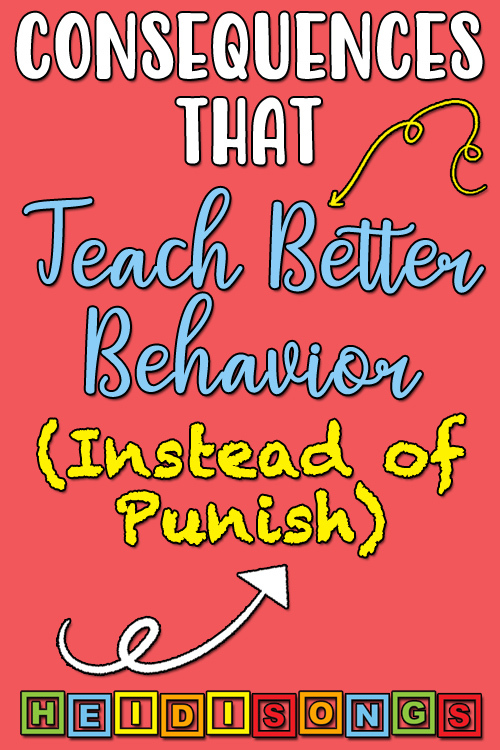 (Because if so, those behaviors will probably continue at school!) Is there a disabled sibling in the family? How much sleep is this child getting regularly?? What does he typically eat before school, if anything? Is this child just DYING for ATTENTION, ANY KIND OF ATTENTION??? 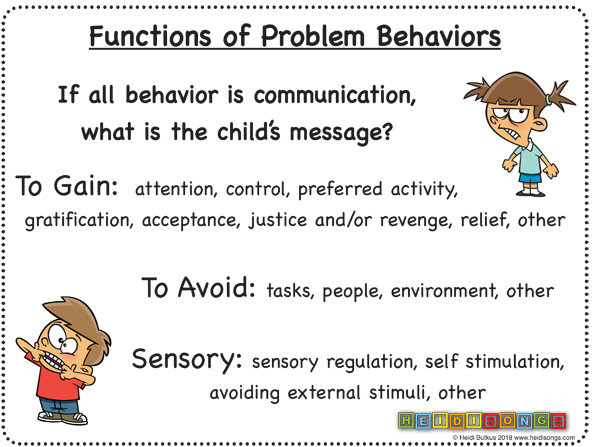 Any of these things can trigger behavior problems in young children! Get to the bottom of it and you're halfway there! When a child's behavior is regularly SO BAD that there is a problem several times a day, it's time to put the child on a daily contract. In cases like these, I have the child work ONLY for the POSITIVES rather than call out the negatives continually. If she did something minor wrong, I marked it on her contract, but that's it. But if the child did nothing wrong, he/she was pronounced GOOD!!! This worked very well for me one year recently. I had the day written out like a schedule on her contract, and she would try to earn a stamp to put on each time slot (such as story time, walking in line, or reading table, etc.) or by following the rules during each one. She enjoyed putting the stamps on, and I tried hard to remind myself to praise her each time we transitioned into something new- assuming she had behaved. If she had trouble, then I marked it on her contract and reminded her to try again next time, because I KNEW SHE COULD DO IT! I am including a copy of this contract here as a free download for you. Unfortunately, it is not editable unless you happen to use QuarkXpress on the Mac. If you do, just let us know and we'll send you an editable version! If an apology was needed, I asked her for it. Sometimes, I asked her to explain what she did wrong, and what a better choice would be, and why. HOWEVER, my policy was that if she HURT someone, then I would take away recess or playtime- in five minute increments only- because playtime is crucial for children. So the main take away here is that the contract was really for ME! It kept ME, the TEACHER, faithful in giving her positive feedback after every subject before we transitioned to the next one. And she got the extra attention that she seemed to want so desperately, in the form of my praise and the stamps on her contract. In addition, her parents did an excellent job following through with things at home. And guess what? After a few months, she didn't really need all of the extra praise and constant attention any more! Sometimes we both forgot about the contract and the stamps for a couple of hours! Her better behavior won her some friends and she started getting the regular kind of positive attention that everyone truly enjoys. She went from hitting/hurting two to four times per day to perhaps one or two times per week. And I call that a HUGE success! What about the rest of the kids? Don't they want it too? I hope that this was helpful to you in some way! Have a wonderful school year! P.S. Here are a few blog posts with some more behavior management tips! 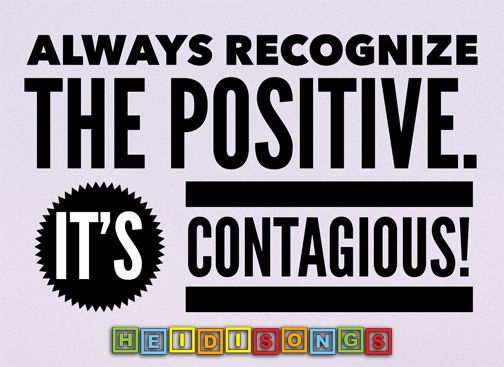 And be sure to check our Classroom Management collection on Heidisongs.com! When You're OVERLOADED with DISRUPTIVE Kids Who JUST WON’T STOP!